Hiking is a great way to enjoy the outdoors, the beauty of nature brings out a relaxing feeling and that much needed escape from the normal activities. 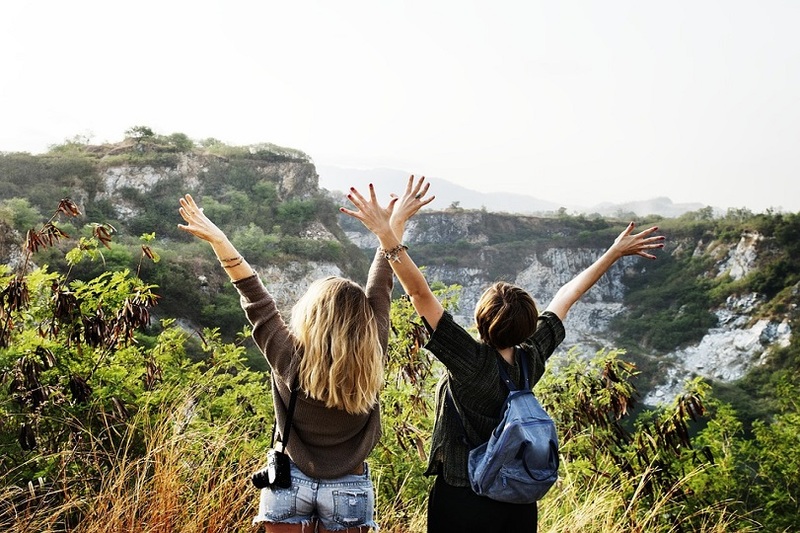 While hiking is obviously an exhaustive activity it provides a unique opportunity to do some family bonding, fun activities and can be the cause of some awesome family memories. Here are some measures to be taken while hiking with kids so that all can enjoy it. When planning to go for a hike make sure you choose a child friendly trail, this is dependent on a wide variety of factors like the distance of the trail, the level of the trails difficulty and the physical ability of the child you are going with. You can research on the key features of the trail to make sure it will be interesting for the kid with lots of potential fun activities to do along the way. Ensure you carry the hiking essentials like a first aid kit, a torch and a Swiss knife. As the responsible party you know that the hiking will use up a lot of the child’s energy and dehydration is also a factor therefore you should carry enough foods and water. Carry several bottles of water both for you and the child, as for the snack part make sure you carry the ones rich in proteins like some energy or Granola bars. For the actual food make sure you follow proper hygienic procedures in the packaging so as to avoid any sort of contamination that may result in food poisoning for the parties involved. The most recommended time to start a hike is early in the morning while everyone is fresh and has energy and also so you can beat the weather. When the hike starts early it will also end early depending on the trail and the amounts of breaks you will take. Children will obviously get tired a lot faster and when they start complaining or slowing down you will obviously know it is time to take a break, or alternatively you can schedule a break every 30 to 45 minutes. The more stops you take the more time you’ll take to complete the hiking trail, as much as this may be annoying it will ensure that child enjoys the hike as well. Ensure your kid has proper shoes for the hike. Inappropriate shoes can result in sore feet or even blisters. Shoes with sturdy sole are appropriate. Make sure the shoes are properly tied shoes and the loops are not too big that they may get caught in something, always remember to ask your kid if they are comfortable. Kids are naturally curious, they may be adventurous and want to touch some plants along the way or even end up putting some of the fruits in their mouth. As the adult you will have to keep a keen eye out for potential dangers that may be present along the trail like poison ivy, poison oak and some berries and warn your kid against touching it. You may even make a game of it that whenever they spot such a plant they get a treat. As the responsible party you have to take initiative and do research on the potential threats on that trail and their remedies because you don’t want a simple plants to ruin the hike. Have several involving activities to make the hike fun, make a scavenger hunt out of it to keep your child actively engaged throughout the hike, if you forget to make one you can play ‘I spy’ , sing songs , recite poems or even let your child lead the hike for a while. Monitor the weather forecast so as to dress appropriately for the hike and also so that you know wants to expect be it rain or a sunny day. Pack a change of clothes for all of you in case someone ends up drenching theirs in sweat, falling in mad or if you want to mitigate the change in weather. Make sure you carry your camera or maybe your smartphone along so as to capture those priceless moments. Plus the allure of pictures can be an incentive for your kid to be more active as they may want to be caught doing ‘goofy’ stuff or Challenging activities like climbing a rock, don’t disappoint them always be ready for such moments. Live Travel City is a Travel + Lifestyle Blog covering travel, tours and adventure destinations around the world, sharing photography and travel tips.